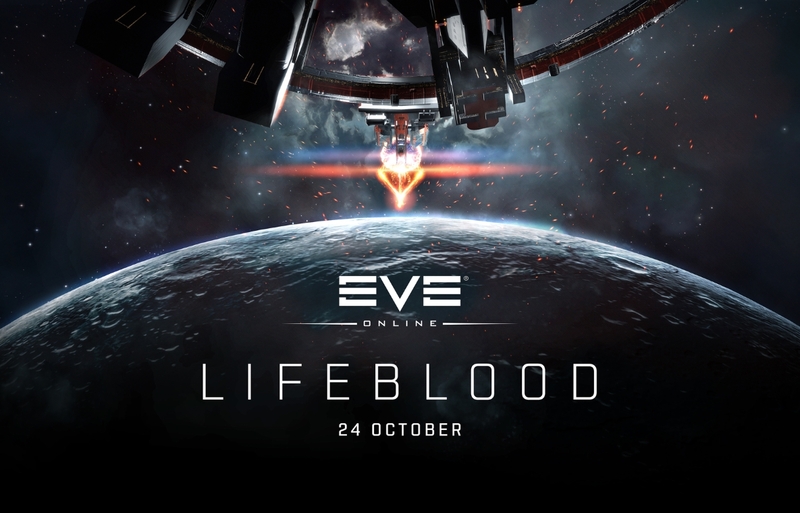 In this blog, we're sharing some more details about the recently announced team focus on ships and modules, and will show you some specific changes coming this October in the EVE Online: Lifeblood expansion. Let’s start with talking a little about how we do balance work and what is changing. The most important thing to know is that game balance is a complex effort which incorporates every gameplay team working on EVE. Whether our devs are working on structures, events, ships, modules, territory ownership, or the new player experience, you can be sure that there will be reverberations in the economy, in the combat meta, and in activity levels across all different types of space. Balance work requires careful, widespread consideration and it’s a constant effort by all parties involved to adjust EVE as carefully as possible. The changes we are making now are meant to increase our overall bandwidth and investment in ship and module related work specifically. The Council of Stellar Management (CSM) has been advocating heavily for more rapid and consistent balance changes, and we agree that it’s a good time to put more focus on this area. We are also allocating more time to experiment with totally new mechanics and concepts for ships and modules. Rather than forming a totally new team, Team Size Matters will be shifting priorities in this direction. You should still expect to see balance work from all the EVE dev teams, but hopefully in the coming months you see more focus on ships and module balance and some brand-new mechanics introduced to EVE. The Rifter has always been the most popular Minmatar frigate (and still is), but it isn't performing quite as well as its competition. We are going to switch the utility high, which doesn't get used very often, to a low. Hopefully this makes way for some new options as an armor brawler or an artillery platform that will serve to separate the Rifter from the Slasher and the Breacher. The Dragoon is a bit of a cap warfare specialist, so we don't expect huge usage, but it's still be lower than we want. We are proposing to keep the theme and overall feel of the Dragoon but move one of its high slots to a mid so it has more flexible control and capacitor options to go along with its slower fighting style. A little extra fitting room will help as well. Not to be rude, but the Corax is a bit on the heavy side. We're going to lower its mass significantly and it is still going to be 50,000 kg heavier than the second heaviest destroyer. The added speed and agility should make the Corax feel much better to fly. We're also going to turn that burn into beef where it counts by giving the Corax some more shield HP. The Arbitrator is in the strange position of being sole the representative for secondary weapons systems in the Amarr tech one cruiser lineup, while also being in the ewar category. We are going to give the Arbitrator fitting room so it can be used more easily as generalist combat ships alongside its ewar support role. We are also going to bump lock range so they it a more realistic shot at putting those ewar bonuses to use. The Arbitrator is going to pick up an extra launcher slot as well to make missile focused fits stronger. The Bellicose is is much the same position as the Arbitrator, as the sole representative for secondary weapons systems in the Minmatar tech one cruiser lineup. It will also receive more fitting room so that it becomes better suited to an all around combat role, as well as increased lock range to be able to put its ewar bonuses to better use. The Omen seems to come up a bit short on fitting and capacitor in many situations, even though the ship has a lot of potential. We're going to bump the fitting room up and give it a larger capacitor pool to give cap boosterless fits more time space to work with. The Stabber has always gotten a pretty bad rap and that's reflected in its popularity. That said, it's a solid support killer and shows very high kill efficiency among those pilots who do use it. After considering a few options we are going to go with the Tempest treatment rather than change the slot layout. Frigate Pilots beware! The Tristan is quite the little monster. It offers extreme versatility and power in many configurations. We don't think it needs massive changes though, as we are happy to see a ship where so many fitting strategies and gameplay styles are viable. A small increase to mass will slow it down slightly, giving other pilots a little more hope of catching up and pinning it down. Like the Tristan, the Vexor is extremely popular due to its versatility. In the case of the Vexor we do feel that it is too easy to fit an enormous tank without sacrificing much damage due to all the free fitting room afforded by drone warfare not requiring high slot weapons. We are going to bring the power grid down to put more pressure on big tank fits. We hope this pass, while not addressing every balance issue, sets a good tone for the kind of changes we want to make. We haven’t nailed down the next set of changes in detail, but we are looking at Tech I Battlecruisers and Battleships, Pirate and Navy faction ships, and Tech II classes like Assault Frigates and Heavy Assault Cruisers all as potential candidates. We’ll keep you up to date as we progress and hope to have consistent, incremental changes like these coming at a quick pace alongside long-term reworks and totally new ships.